The Gorlok Grind Cafe is on the ground floor of the Arcade Building. 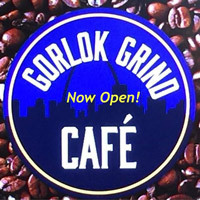 The Gorlok Grind, the new bookstore and coffee shop at the Gateway Campus in downtown St. Louis, is open for business and will hold a grand opening Tuesday. The cafe will offer giveaways and prize drawings throughout the day, including a 20 percent discount on select items and refreshments. The Gorlok and Fredbird, the St. Louis Cardinals mascot, will be there for a ribbon cutting ceremony held at 3 p.m. CJ's Disc Jockey Service and Way Cool Balloons will be there from 4-6 p.m., when a drawing for Cardinals tickets will be held. Webster University is the anchor tenant in the historic and restored Arcade Building, the new location for its Gateway Campus downtown. Classes began at the new location in Spring 2016. Webster University occupies the first and second floors of the building as well as the mezzanine level. The first-floor space includes offices for student services and administration, an art museum and 130+ seat auditorium for lectures and other live events. The Gorlok Grind is on the first floor with an external entrance at the corner of Pine and 8th streets. Enjoy a 20% discount on select items and refreshments throughout the day!